As our grant cycle concludes, our excitement continues to build about all of the possibilities for a healthy community in Morristown. Our survey is complete, we have starting to build our walking path, and we now have a better sense of what local residents want and need to see in order to be healthier. Our survey had 133 respondents comprised of residents from the area senior centers, parents from children who attend programs at the Morristown Neighborhood House, and participants in Atlantic Health’s Family Health Center. Participants primarily lived in Census Tracts 043500 and 043800, which have media household incomes of $47,394 and $75,309 respectively. Of those who responded, 39.4% identified themselves as Hispanic, 30% as African-American, 27% as White or Caucasian, and 3.9% as Asian. While 58% of survey respondents said they make time to exercise regularly, those that don’t feel that it is expensive, or that they need additional support. We’re now brainstorming programming ideas for the redesigned garden that include free classes on fitness, walking, yoga and more. Of those that exercise, 70% said they walk, so we’re confident that our new walking path at the community garden will be beneficial to these residents. 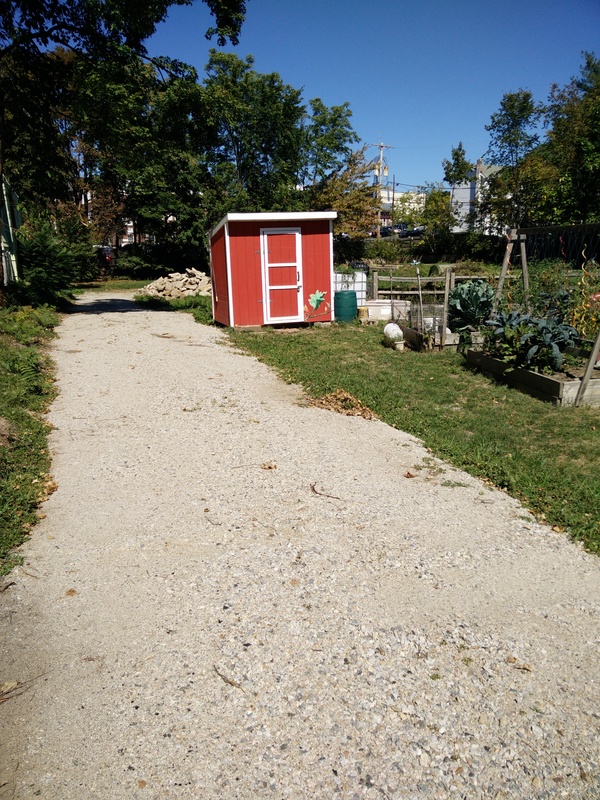 We began work on the walking path at the Early Street Community garden this summer. We had a landscaper come in to remove stumps and fences. They also cleared the roadway, graded it and then we had stone dust delivered and flattened it out to create the start of a path. The pathway is 3/4 of the way done. The other part will begin this November after we clear out the existing community garden plots to overhaul the entire space. Also in the survey, we were surprised to find that 73% of residents said they eat fresh vegetables every day. Of those who said they’re not satisfied with their shopping choices for fresh vegetables, 55% say they aren’t happy with the price of available vegetables. We also det ermined that 92% of respondents do not grow their own food — a low-cost way to obtain vegetables — and of those who don’t, 59% said it was because they don’t have space to grow. This indicates that our garden expansion — to double the number of garden plots from 42-94 — will be a major boost to our community. We look forward to continuing our project this fall into next summer, when we hope to reveal the first phase of the garden redesign. We are grateful for NJHCN’s support! Often times when non-profits are awarded grants, the funds are acquired, programs completed, final reports and thank you’s written – and that’s the end. However, the Shaping NJ grant program has been about so much more than recipients completing their individual projects. Through the Shaping NJ grant process, we’ve built a community within our community. For instance, during one of our larger group sessions we were connected with the North Central Jersey Association of Realtors and their placemaking grant opportunities. This led to us securing an additional $2,500 to support the rebuilding efforts at the Early Street Community Garden. 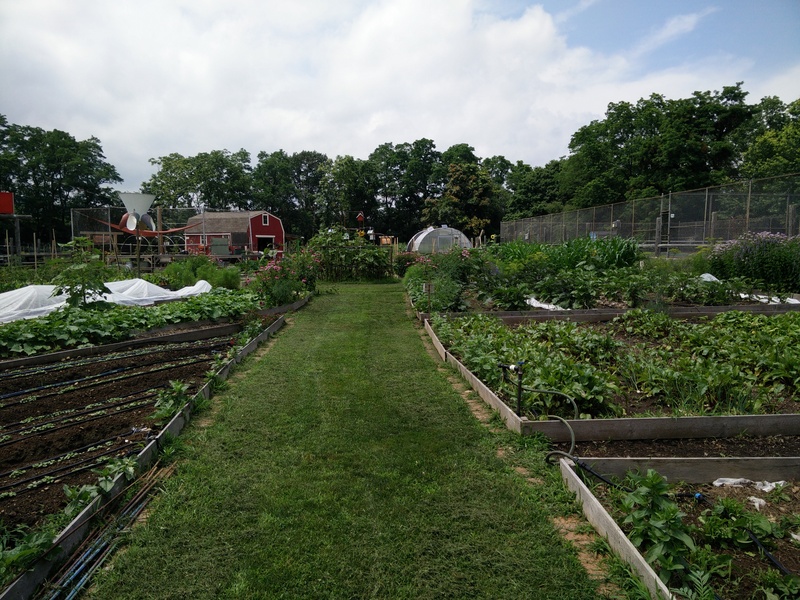 Likewise, we were able to help another Shaping NJ grant recipient, the Metro YMCAs of the Oranges by hosting them at our Urban Farm at Lafayette. While touring the property we had the opportunity to share with them our years of experience creating urban farms, building curriculum to support the program and more. It was a wonderful tour and we’re excited to see what they create in the Oranges. 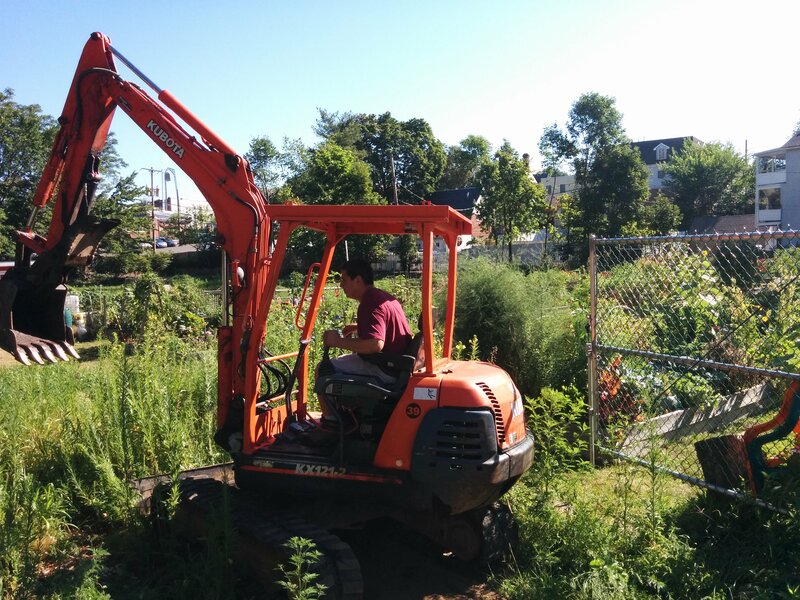 As for our own Shaping NJ project, we have begun building the walking path at the Early Street Community Garden and hope to have it completed by the end of the year. The neighborhood is witnessing the start of the project, which is in turn attracting more attention and excitement. Even an old neighbor, Craig Newmark (founder of craigslist) has become part of the growing partnership of funders. He recently donated funds to buy a composting toilet for the site! Additionally, our survey has been completed and the basic analysis performed. We’re clearly seeing that people in the community would like to grow their own food, but lack the space to do so. And while we are finding that many of the people in our survey do find time to exercise, those that don’t feel that it is expensive or that they need additional support to do so. These responses are already influencing our choices about future programming at the garden. Ideas are flowing about free classes on fitness, walking, yoga, and more. We’re sure all these ideas will lead to even more partnerships in our ever expanding community. We’re thrilled with the support from the Shaping NJ program and we know our community will be seeing the benefits! 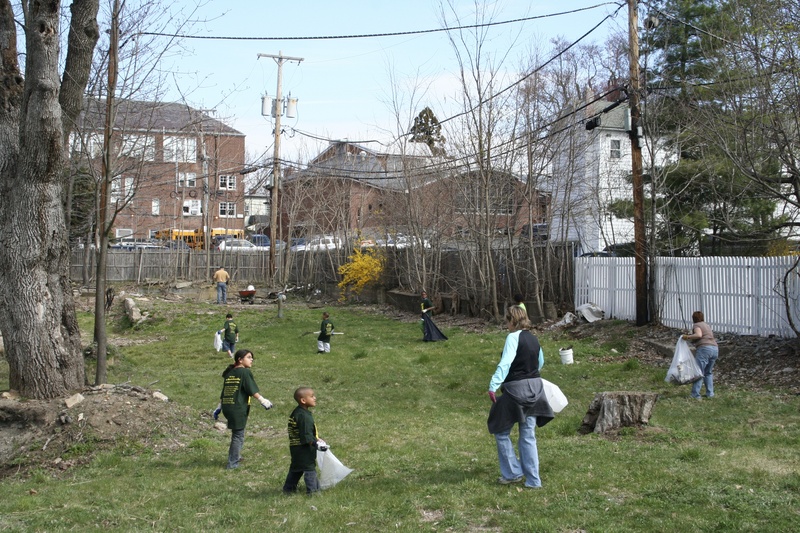 In 2009 when we founded Grow It Green Morristown (GIGM) and launched the Early Street Community Garden, we knew that we couldn’t go it alone. The organization started with just three people, so to build an entire community garden would have been impossible with just three sets of hands. From the onset, GIGM has been pretty adept at asking for help when we needed it. We don’t try to be experts at everything! From the beginning, community volunteers and partners have driven our work. Like many organizations, we’ve gone through mission revisions. Tweaking the wording, creating lists of core values, etc. One theme that has been consistent in all these discussions has been the creation of strategic, collaborative projects. Our work with Shaping NJ has been no exception to this core tenant of our organization. We want to improve people’s access to fresh, local nutritious food and provide them opportunities to improve their wellness though being outdoors, with other members of our community. However, we need information about the populations we wish to serve – not just those we currently serve! To expand our reach and collect data from potential new clients, we have partnered with the Morristown Housing Authority, Atlantic Health and the Neighborhood House. Of the three groups, we have been working with the Neighborhood House the longest. However, our work has been primarily with children – this survey required us to reach the parents and adults that use their services. There were multiple barriers to accessing their clients that we needed to consider including language, time of day to survey, and motivating people to take the survey. We planned the surveying to take place when people were picking up their children from childcare, at the end of the day. While getting home for dinner after a long day at work might impede some people from stopping to take the survey, we figured it would be more successful than people having to stop before work. To overcome the language barrier, we offered the survey in both Spanish and English. However as we worked with the Neighborhood House to set up the survey process, it became clear that while having the survey available in Spanish was important, more important was the person behind the table who would be asking people to take the survey! Clearly, they needed to speak Spanish – but they also needed to be a member of the community that we were asking to respond. Why? Because this helped make people comfortable with an outside, unfamiliar group asking personal questions about their lifestyle choices. This lead to another partnership! We worked with the Neighborhood House’s “Pathways to Work” program and hired two people who were from Latin America to help with the distribution and collection of the survey responses. In many instances, they actually surveyed the respondents directly. Additionally, we added a coupon for fresh produce into the mix to motivate people to take the survey, offer our thanks and get them to visit our Urban Farm! We found the coupon was highly successful, as the number of visitors to the Farm that weekend was much higher and many people turned the coupon in. We learned from this phase of the project that we need to partner again the Neighborhood House so that we can hire staff at the farm who are native Spanish speakers. When people come to the farm who speak Spanish, we’ll have a native Spanish speaker available to work with them, as our staff’s Spanish skills – while helpful for basic information – aren’t sufficient to make people feel at home at our projects, and that is what we’re after! So hats off to the Neighborhood House for all of their help – and for highlighting the importance of working with the community in mind! Summer is upon us and Grow It Green Morristown is out in our community teaching classes, hosting groups, and growing amazing produce at the Urban Farm and the Early Street Community Garden. This kind of weather really gives us great energy and enthusiasm for our work – so the timing for completing our survey about our community’s access to fresh produce and exercise opportunities couldn’t be better! 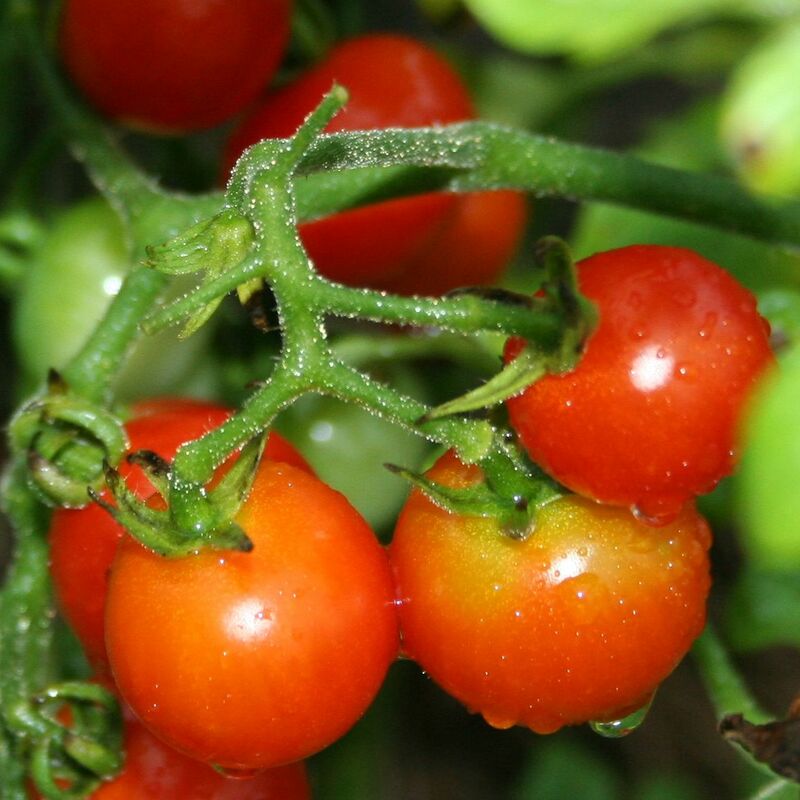 People are outside, at the parks or walking through town and we know they’re starting to think about juicy, summer-fresh produce like sweet cherry tomatoes! We want to hear what they have to say! Working with our partners at Atlantic Health, the Neighborhood House and the Morristown Housing Authority, our survey is now complete, tested and translated into Spanish. We’ve been working with our partners to gear up for the data collection process. Determining when, where and how to ask people to take the survey has – in and of itself – been an interesting process. For instance: When is the best time of day to collect data? Are people more likely to stop in the afternoon when picking up children from childcare? Or are they rushed to get their child and/ or then have child with them who might be a distraction? Is it good to ask the seniors while they are sitting down for a meal? While the survey is comprehensive, we were also cautious not to make it too long – we wanted participants to answer thoughtfully without rushing. Our goal is to survey 50 people who participate in programs at the Neighborhood House and 100 of people who live in housing operated by the Morristown Housing Authority. To aid in this process, we are working with these agencies to coordinate the best times to collect data and will try to “thank” our participants by distributing a special coupon to anyone who takes the survey. The coupon entitles the bearer to a “free farmer’s choice item” at our farm stand. We hope this will not only serve as a possible incentive for people to take the survey but also to increase community participation at the stand – where we sell our own produce at prices that reflect our commitment to providing fresh, nutritious local food to everyone. The “freebie card” will have information about the hours of operation and information on how to find the Urban Farm. We’re looking forward to a very productive month! Our grant project is to create a food and physical environment assessment of Morristown residents to determine whether fresh food and opportunities for exercise are available to all residents, particularly the underserved. We will then create an action plan based on the issues that come out of the survey. 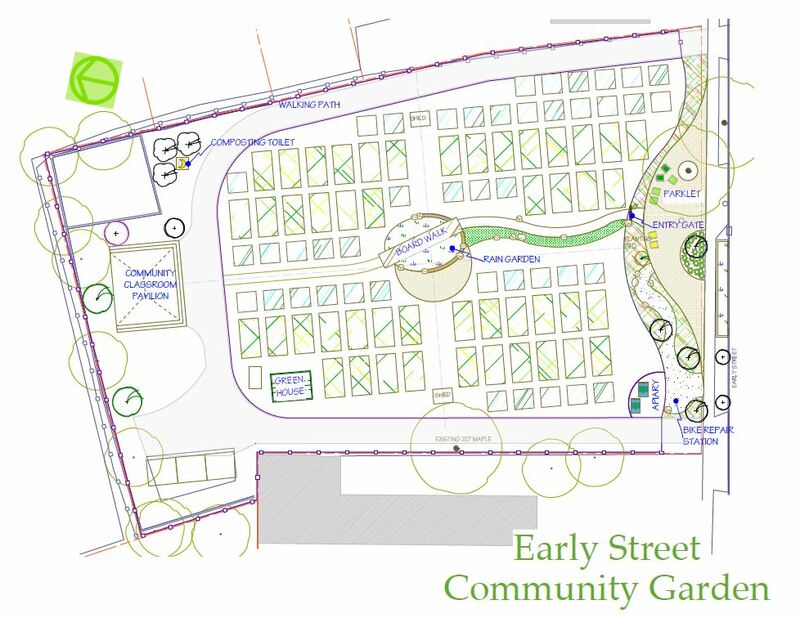 Part of the action plan could include an ADA-compliant walking path and more community garden beds. In conducting our project, the biggest challenge was finding and determining the right survey questions to use. We had difficulty finding examples online that were comprehensive for both nutrition and physical environment but also concise and easy to understand. We have had great help from Atlantic Health, who has connected us to wonderful resources and put us in touch with other local communities who are doing similar projects to ours. In fact, for our survey assessment, they provided a sample survey that we were able to work from. Of course we had to adapt it to meet our own community needs, but it was a great opportunity for us to “start somewhere” and also provided a great layout that we were able to use. We also provided the survey to representatives of the groups that will be taking the survey. They were able to provide feedback on whether or not it was appropriate for their audiences and help us adapt it accordingly. Beyond that, one perennial challenge is time. It’s challenging to ask other community nonprofit groups to participate in this work because we are all challenged with limited resources. Ultimately, though, we are all driven by our missions, and luckily our missions align toward ensuring we have a healthy community. We feel fortunate to have partners who are willing to go above and beyond to help achieve this goal.